However, Lavinia wasn't as angelic as her appearance may have led people to believe. She was very jealous of her husband and didn't want anything, or anyone, to come between them. Not even his sisters. Rather than befriend her sisters-in-law, Lavinia criticized them, especially Georgiana. She constantly found fault with what the Duchess did and even complained of her to George. Poor man, caught between his wife and his sister! His sister Georgiana was the Queen of the ton, and even though her life was far from perfect, she was very envied for her charms, position and wealth. Lavinia, who should have known better than most people what Georgiana's life really was like, envied her too. 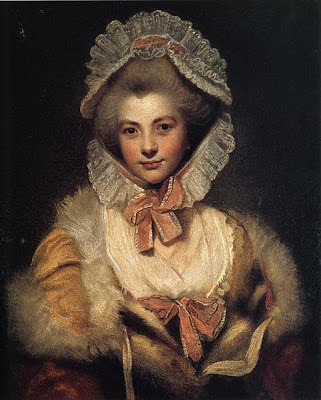 The fact that Lavinia's attempts to be become a successful socialite too, which included trying to raise the money to erect a statue of a naked Achilles as a tribute to the Duke of Wellington, failed certainly didn't help. Georgiana and her sister Harriet couldn't stand her either. Harriet, in a letter, mentioned Lavinia, saying "her cleverness (which term peculiarly suits her in every way) … coarseness of mind, as well as of expression … intolerance … the most extravagant abuse, the most unsparing scrutiny. Nothing escapes: character, understanding, opinions, dress, person, age, infirmity – all fall equally under [her] scalping knife." The feud would end only towards the end of Georgiana's life, when the two women, who were both very interested in politics, gave a political ball together. Lavinia died, aged 68, on 8 June 1831 at Spencer House in London. 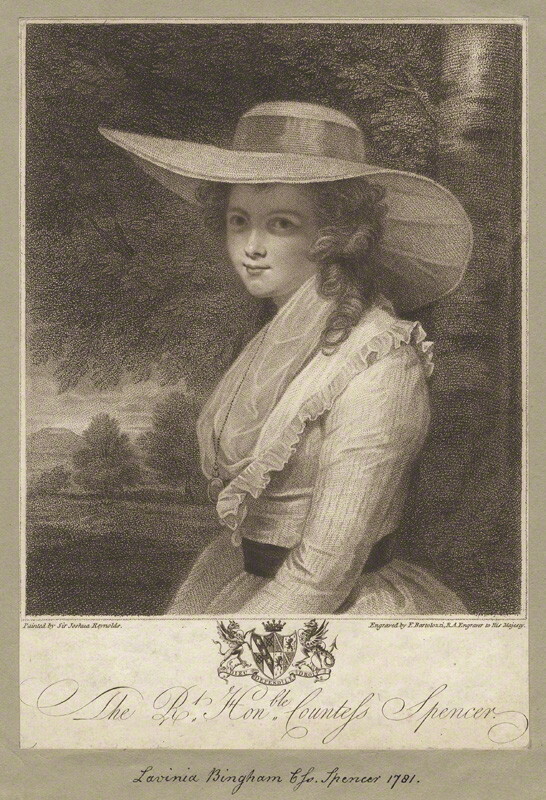 She was buried at Brington, Northamptonshire.